"[A] fine, heartrending new biography....Kanfer, a novelist and longtime critic for TIME, and himself a very witty writer, seems to have repressed his own humor in writing this book, partly out of deference--only a fool would trade jokes with a master--but mostly, it seems, because the whole subject now just gets him down. His verdict is that the persona of the hostile comic 'unhappily agreed with the man: living with Groucho Marx had been no pleasure, for his wives, his children--or himself. 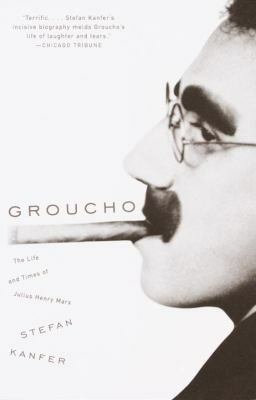 "Kanfer, Stefan is the author of 'Groucho The Life and Times of Julius Henry Marx' with ISBN 9780375702075 and ISBN 0375702075.